Add Flexibility to Your Day: Walk-ins Now Available! Are you sick, but not sick enough for an emergency room? Don’t have time to schedule an appointment? No worries, North Clinic is excited to announce that we now offer walk-ins for adults and pediatric care! Get to know all about walk-in appointments, what they are, what we treat, and all the wonderful benefits that walk-in clinics provide patients. Walk-in clinics serve patients by addressing non-life threatening care needs without that patient having to go to a hospital or emergency room. These options are also convenient for those seeking flexibility in their day who don’t have the time to schedule an appointment. Sometimes acute illnesses may include severe injuries or illness such as a heart attack or an asthma attack. In these circumstances, it’s best to go to an emergency room. Emergency rooms typically perform trauma care and assess based on triage (an assignment of urgency), which means if a patient goes in for a sprained ankle, they may have to wait a while (if not hours), before they are assessed by a nurse or provider. Plus, using a walk-in clinic for acute illnesses or injuries frees up emergency rooms for those who need it most! Note: If you’re experiencing a severe injury or illness, or having a life-threatening situation, please find the nearest emergency room or call 911. Beyond injuries and illnesses that walk-ins help alleviate, there are a few other services provided. 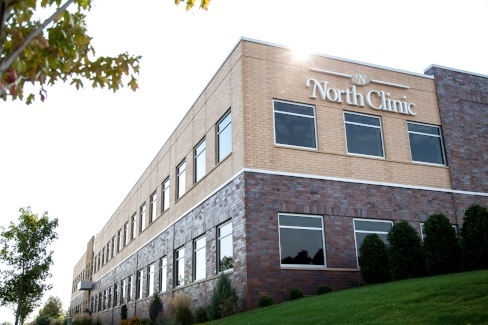 Exams, lab work, X-rays, sutures, castings, and more can all be done when a patient walks in at North Clinic. There are many advantages to choosing a walk-in clinic for your illnesses and injuries. We list five of our top reasons patients should opt to go to a clinic for non-life threatening, acute ailments instead of an emergency room. 1. No Appointments: You won’t have to worry about scheduling an appointment or being able to squeeze that appointment time into your busy schedule. If you’re sick, just walk-in, it’s that easy! 2. Easy to Access Records: When you visit North Clinic for a walk-in, you’ll receive care at the clinic where you usually see your primary care provider, which means easier access to records and documents about your health. Plus, if it’s a familiar place for you, you won’t have the stress of whether or not documents transferred properly between clinic locations. 3. Reduced Wait Times: Don’t worry about long lines or waiting in triage until your turn, walk-ins significantly reduce wait times for patients. Unlike a typical hospital setting, walks-ins allow for patients to get in and see a provider sooner rather than later without the hassle of waiting for hours at a time. 4. Minimal Cost: Unlike an emergency room where bills can rack up quickly, walk-in clinics are comparable to your primary care office. Take a look at North Clinics payment and insurance options to see if you’re covered. Walk-ins are currently offered at three of our locations: Maple Grove, Osseo, and Plymouth. Not only do we provide walk-ins for our patients, but North Clinic has an excellent line-up of a wide range of specialty services. When you’re feeling ill, walk-in at North Clinic, or schedule an appointment with your provider! Not sure what questions to ask your Provider? Cut the confusion with our free guide!